Replacement Filter for Dinan Intake for 2002-2006 R53 MINI Cooper S. If you have a Dinan intake on your R53 and need to replace the filter, this is your most cost effective solution. 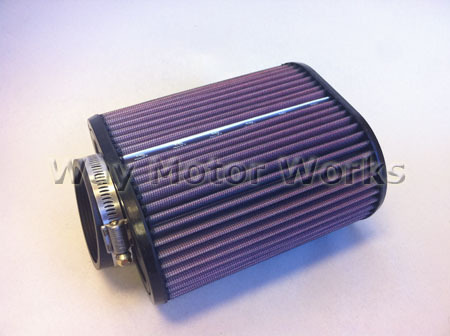 This K&N style filter is a direct replacement for the filter that came in the Dinan intake air box. Sold as individual filter and includes one clamp.